The Hilton Austin Convention Center Hotel is the largest and tallest hotel in Austin, Texas at 115 m (377 ft) tall with 31 stories. 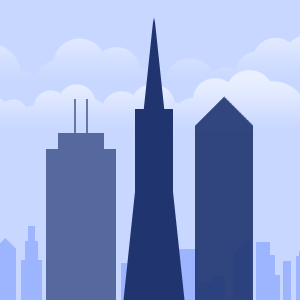 Designed by Ellerbe Becket Inc and Susman Tisdale Gayle Architects (now STG Design, Inc), the building broke ground on July 10, 2001 and topped out officially on January 17, 2003, a span of 1 year, 6 months, and 7 days. The largest ballroom in Austin also is located in this 31 story monolith. 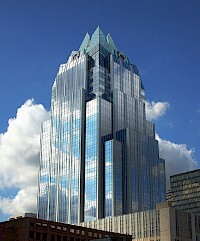 The Frost Bank Tower is a skyscraper in Downtown Austin, Texas, United States. Standing 515 feet (157 meters) tall and 33 floors, it is the third tallest building in Austin, behind the 360 Condominiums and the Austonian. It was developed by Cousins Properties from November 2001 to December 2003 as a class A office building. It was the first high-rise building to be constructed in the U.S. after the 9/11 attacks. The building was officially dedicated in January 2004. 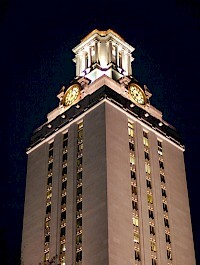 The Main Building (known colloquially as The Tower) is a structure at the center of the University of Texas campus in Austin, Texas. The Main Building's iconic 307-foot (94 m) tower has 28 floors and is one of the most recognizable symbols of the University, as well as the city.. The old Victorian-Gothic Main Building served as the central point of the campus' forty-acre site, and was used for nearly all purposes beginning in 1882. One Congress Plaza is a skyscraper in Downtown Austin, the state capital of Texas in the United States. Standing 390 feet (119 meters) tall and containing 30 floors, standing as the eighth tallest building in Austin. One famous feature of the building has been its sunken plaza, which includes trees and park benches, as well as the location for the AMOA Art Show. Spring is a 43 story residential condominium in Austin, Texas. Opening and completed in 2009, Spring stands 132 m (433 ft) over west Austin. The building was designed by Morris Architects and Pentagram. It is the very first point tower in Austin, meaning it is tall and slender, combining a skyscraper with high-rise residence. Austin Energy has given Spring a green rating. The skyscraper features a handful of amenities. Many of these are located on the 5th floor. 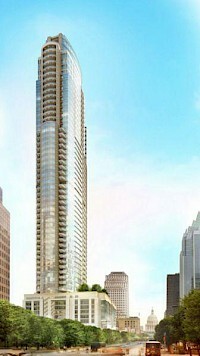 The Ashton is a 36 story residential highrise located in Austin, Texas. Completed in 2009, it is 412 feet high and rises just 15 feet from its neighbor to the east, about 100 feet shorter, 100 Congress. The Ashton was one of the first skyscrapers built in Austin during the city's 2006-2010 skyscraper boom. One amenity is a pool deck, which is on the podium. 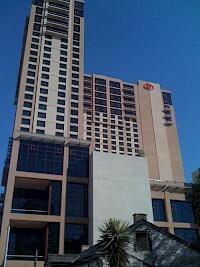 The Ashton is similar to a building in Dallas, Texas of the same name. Only that this one is 16 stories higher. The Austonian is a residential skyscraper in Downtown Austin, Texas. At 683 feet (208 m) tall with 56 floors, the building is the tallest in Austin, overtaking the 360 Condominiums. The tower is also the tallest all-residential building in the state of Texas and Texas' tallest building outside of Dallas and Houston. Also, it is the tallest all residential building west of the Mississippi. The 53rd floor was taller than the previous tallest, 360 Condominiums. W Austin Hotel & Residences is a currently topped out building in Austin, Texas located on 200 Lavaca Street. It stands 478 feet above the ground with 37 floors above the ground. It will soon to house the Austin City Limits Studio, greatly increasing the seating size from 350 to 2,200. It is a residential building that sits behind the Austin City Hall. It holds 250 hotel units and 159 condominiums.